Part of your ability to effectively lead your team as a softball coach depends on your ability to make quality, decisive choices in touch situations. The buck, as they say, stops with you. You are the leader of your team. You must be able to make the tough call. 1. Remember your Non-Negotiables – These serve as a great foundation or basis for many of the hardest decisions you face as a coach. The reason you took time to think about these in the first place is so they could help make your choices easier and clearer in times like these. 2. Think long term – Successful people and successful softball coaches think blocks of time longer than just one day, one week, or even one month. Remember to consider what’s best for your whole team in the long run, not just what’s easiest TODAY for the individuals directly involved. What decision is moves your entire team closer to bigger, long term goals? 3. Hard now, easier later– You have a choice. Make the tough call now or continue dealing with ongoing issues and additional tough calls down the road. Most times tough decisions directly impact a negative situation or issue on your team. It may seem easier to “wait and see” if this problem eventually resolves on it’s own later. That would get you out of having to make a tough call now, but taking the easy way out rarely turns out well. I can tell you right now, if this situation already put you in a potential tough call position, the “wait and see” approach will only bring you greater grief down the road. The reason you feel like you’re in a tough call position is because you’re in a tough call position! You’re better off making a decisive choice NOW! Don’t wait or brush it under the carpet. It will only get harder to deal with later. 5. Go with your gut – Your gut is where your non-negotiables came from in the first place. Your gut already knows the hard choice is the right one while your brain and your heart are trying to rationalize alternatives or convince you that maybe you don’t have to be so “mean.” Your gut already considered the long term view because it’s well connected with that big picture vision/dream/goal you give so much thought to and plan for. Your gut only tells you what you really, truly, honestly feel is best. It doesn’t try to rationalize. It doesn’t try to be nice. It’s just contains what you “know” deep down, you should be doing. Most coaches who go with their gut, even when things don’t turn out, can look back at the situation and say, “I made the best decision I could in that moment and it just didn’t work out for us today. Now I’m ready to make a better decision next time.” Most can live with that. It’s usually when you don’t go with your gut that you regret it and have trouble sleeping at night! If you’re going to possibly mess up a decision, may as well make the one you can live with. These tough call situations aren’t the most pleasant, but they come with the territory when you coach softball. Don’t avoid them. You softball coaching success depends partially on you dealing with these situations effectively and decisively. Hopefully some of these tips help make that easier for you! Face a tough situation right now? Want some objective input from like minded coaches? Head over to my private facebook group. Maybe we can help! ‹ Wanting to Be First: Motivated or Entitled? 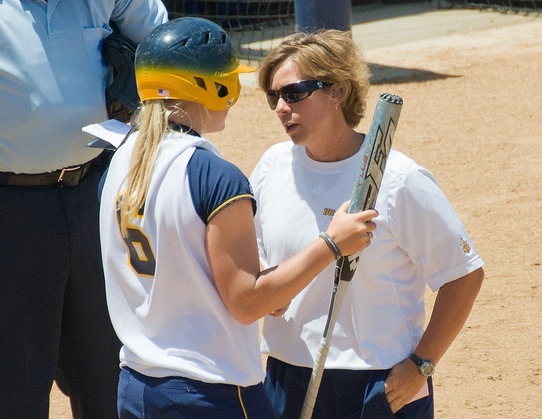 4 Pings/Trackbacks for "Softball Coaching: 5 Tips for Making the Tough Call"